Report of the VI International Caravan of Jurists, 2018. 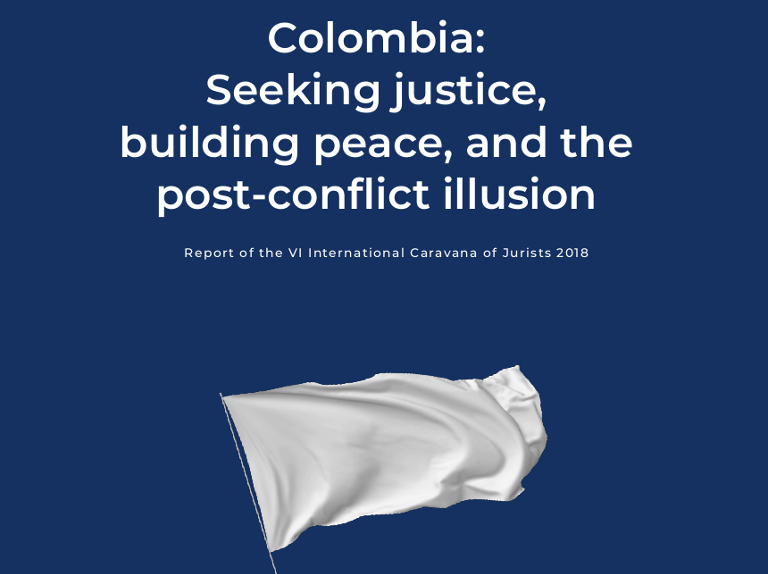 The International Caravana of Jurists travelled to Colombia at the beginning of September 2018, to ascertain the impact that the peace process has had on the work of human rights lawyers and the dynamics of the conflict. ← „Friedensprozess in Kolumbien in Gefahr“ – Erklärung von 75 europäischen und kolumbianischen Organisationen.